When you meet a new person, what’s the first thing you discuss? There’s usually an introduction — and you state your name. If you are like me, you typically forget the person’s name within the first minute. True? We are terribly forgetful people. Unless we really listen, focus, and make a mental connection in our mind, we forget! My husband and I have been married for over twelve years. We have three children, a dog and a cat. I get everyone’s name jumbled up. I call the dog my daughter’s name, and my son the cat’s name. It usually takes me spouting off all the names in our home, until I get the right one! Been there? I’ve become my mother! What about our amazing God? He has so many names that define Him. We learn more about Him when we study these names and where they are found in the Bible. How can we teach and help apply the truths of scripture to our little ones? My goal is to teach my children and grandchildren to know God through His Word. You, too? Application: God is always with me, so I don’t need to be afraid. God’s very name means peace, so He can give me His perfect peace. Once we have those 10 mastered, we pick 10 more. Another great way to remember the names of God is to buy or print out a blank calendar. Across the week (Sunday – Saturday) write a different name of God (one name per week). Throughout the week, use that word in your day to day interaction. For instance, if it’s the name, Bread of Life, you might say to your children when they are begging for that unneeded snack, “Remember, Jesus is the Bread of Life. He who comes to Him, will never be hungry.” Obviously, this is with a tiny bit of jest, but you get the idea. 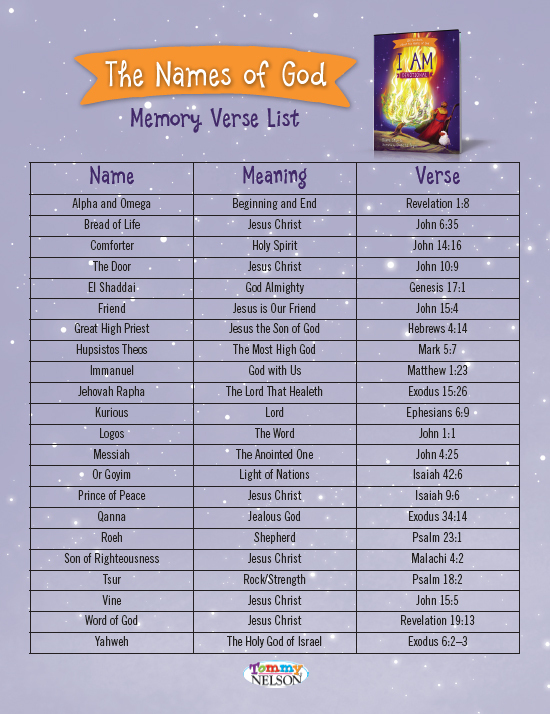 I thought you might like to print out this downloadable version of these names of God with a corresponding Bible verse. We can take turns memorizing these verses together with our families. Take your time, there is no rush! Make time to memorize, but also meditate on these wonderful scripture passages. Our family loves this devotional: I Am Devotional: 100 Devotions About the Names of God. The devotions are based on forty of the many names for God, Jesus, and the Holy Spirit. 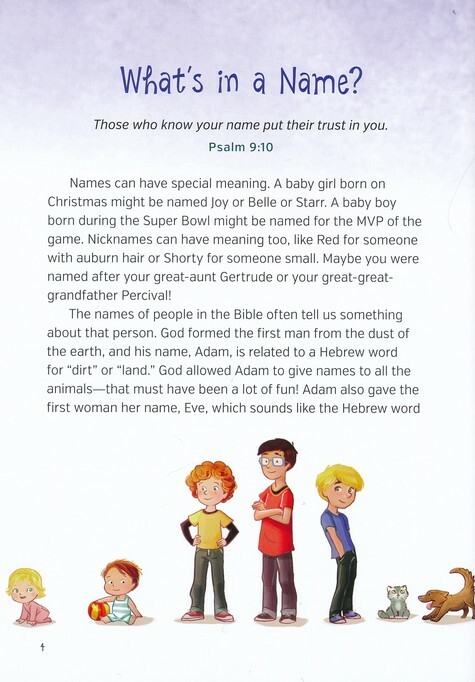 This book helps children grasp the wonderful truths found in the different names! Each devotion includes discussion questions, a prayer, and a God Deeper Bible verse to navigate. 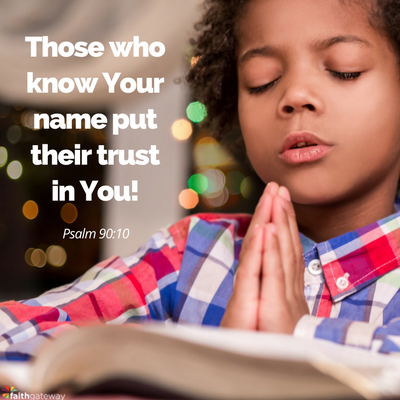 Those who know Your name put their trust in You! Let’s make Him known to the next generation. You may find that this is the perfect book for your family to get to know God better! And for little ones, check out the I Am picture book! 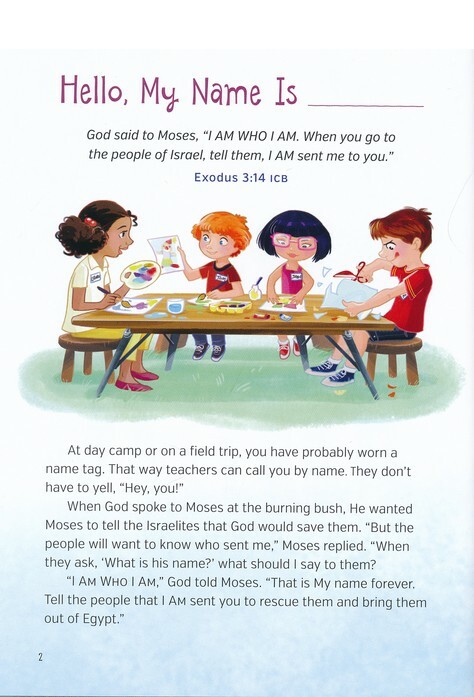 Have you tried before to teach your children the names of God? What are some ways you’ve worked to show those close to you God’s character? We’d love to hear your thoughts in the comments!